On Wednesday 7-September St. Joseph's School in Bogota had their first day for the 2016-17 school year. 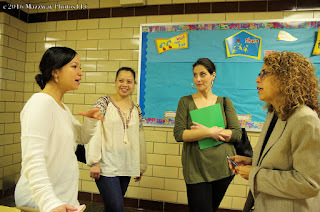 This was the first official event with the new St. Joseph's Principal Stella Scarano. She addressed the Students and Parents as they gathered to begin the new school year. 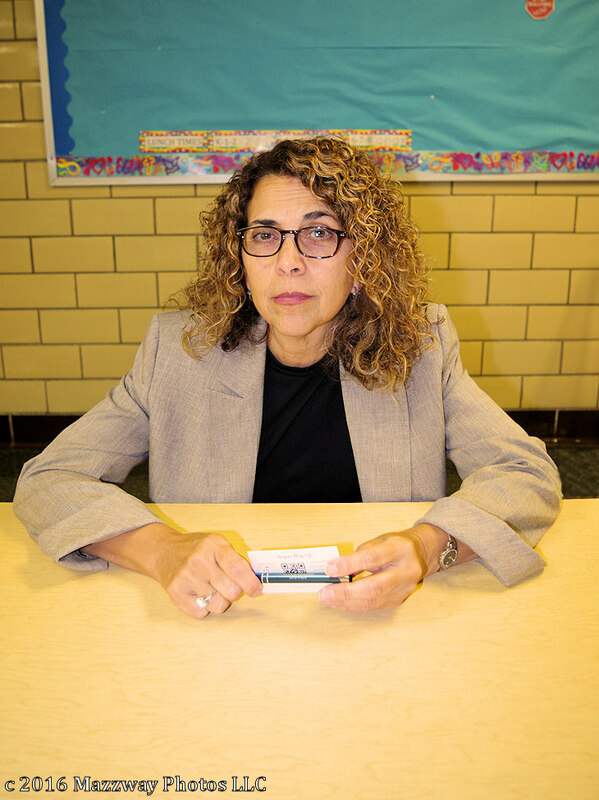 Principal Scarano replaces principal Newman after eight years of leading St. Joseph's . After the Students started the school day Principal Scarano joined many of the Parents for coffee in the Schools Cafeteria. She took the time to introduce herself to the Parents and learn more about life at St. Joe's. "Before joining St. Joseph Academy, I served in a variety of teaching and administrative leadership roles over the past 20 years which included both elementary and secondary education. At Good Shepherd Academy in Nutley, New Jersey I taught 7th and 8th grade Social Studies and Religion and served as moderator for several clubs. As a member of the administrative and teaching team at Paramus Catholic High School I began as the Dean of Students and sophomore English teacher and completed my 11 years of service as the Vice Principal of Student Life. My experience is vast; however my belief that nurturing the entire student, spiritual, morally, intellectually, emotionally, socially and physically has never wavered and is in complete alliance with the philosophy of St. Joseph Academy."